How Can Trucking Insurance Benefit You? 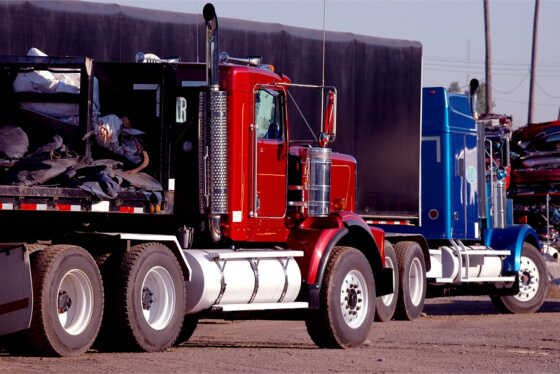 ← How Does Trucking Insurance Work? When running a trucking business, there are many things to consider. You need to keep in mind the maintenance of your trucks, making deliveries on time, and generally, ensuring that your business is running smoothly as possible. However, what happens when one of your trucks gets into an accident or you experience vandalism? This is where a Truck Insurance Agency in Downey CA such as Rapid Document Insurance Agency can help you out. The larger your business grows, the more trucks you will have out on the road. Even if you have the best of the best when it comes down to drivers and trucks, you never know when they will get into an accident. These accidents can be costly, especially if your driver is at fault. However, if you are protected by trucking insurance this big problem can be made a small inconvenience. We will help pay for the majority of the repairs and damage done, to ensure you can continue operating your business without losing a large chunk of your capital. Not only do you need to worry about your trucks but you also have to keep in mind the goods you are transporting. If the items you are transporting are damaged or lost in transit, you are responsible for either replacing or paying for them. Depending on the items, this can be extremely expensive. Through insurance, you can protect these items. If anything were to happen to them, we can help shoulder the costs for you. If your trucks get damaged due to accidents, vandalism, or other reasons having Truck Physical Damage Insurance can save you a ton of money. Trucks are expensive to repair but our insurance can help shoulder the expenses for you, so you can focus on getting your business back up and running as soon as possible. Insurance is something that many of us do not think much about but it can help save us financially in unexpected situations, which is extremely important as a business. Ensure you are protected with personalized trucking insurance that has your back. This entry was posted in Insurance and tagged Insurance Agency, Insurance Services, Trucking, Trucking Insurance. Bookmark the permalink.